Gareth Price has been a Genomics Scientist for over 15 years now. 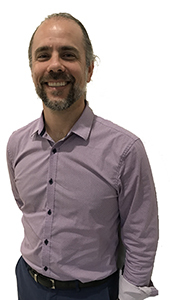 He has involved in experimental design, assay performance, data QC, data analysis and data interpretation from early printed microarrays, to cartridge based GeneChips through to multiple Next Gen platforms. These works have involved a variety of model organisms from microorganisms, fruit flies, mice to humans. Gareth’s view is that research, clinical research, and healthcare are at their best when coupled with the most accurate, highest throughput and innovative technology and analysis. He uses this view to motivate the use of innovation to reduce the time between data generation and data summarisation, ready for the important phase of data interpretation and result in discovery. Over 10 years’ experience in running labs utilising microarray and NGS technologies to address a variety of human and human pathogen related conditions.